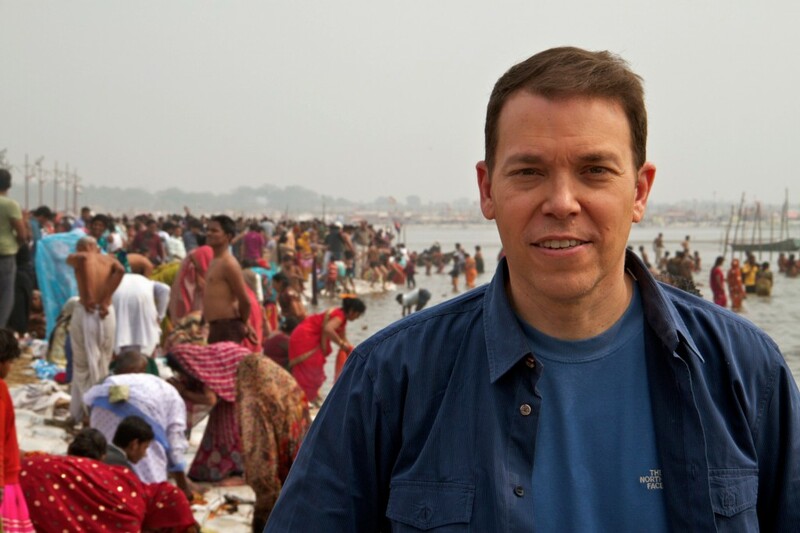 Bruce Feiler, a notable New York Times Columnist and host of the upcoming PBS series titled Sacred Journeys with Bruce Feiler which airs December 16th, 2014, converses with TIM editors on the larger issues related to Americans, religious experiences, spirituality and pilgrimages to historically sacred places. The Islamic Monthly (TIM): Why did you select the pilgrimages that you did? Were there others that you decided not to go on? Bruce Feiler (BF): I have spent nearly 20 years going on religious adventures around the world, starting with Walking the Bible in 2001 and then Abraham, which looks at Abraham as the shared ancestor of Jews, Christians and Muslims. PBS came to me and asked if I wanted to host a series on pilgrimage. My initial reaction was no. I said that I did not want to make a series of Wikipedia entries that were basically strange people going on strange journeys to strange places: I did not want it to be about “the other.” But one of the things you hear most often in religious circles these days is “I’m not religious I’m spiritual. I’m on a journey.” We started with a list of all the pilgrimages in the world, which as you can imagine is a very long list. There was a United Nations Report which came out in September this year at the First World Congress on Pilgrimage that reported that one third of all tourists in the world are pilgrims. That’s 330 million people worldwide every year who go on a pilgrimage. We started with the Kumbh Mela in India. There is one every year but every 12 years there is a massive one, which happened to be last year: so 100 million people bathing in Ganges in 50 days. Then we did Japan, then Lourdes because there is military pilgrimage that happens every May. Then we did Nigeria, then Israel, and then the Hajj was October last year. It took us five years [to produce this series]: A year of planning, a year of raising money, a year to find the pilgrims (because we needed to find people. If you go back to Walking the Bible I was in every scene and I was the one doing the intellectual and emotional transformation and I couldn’t do that in every single case here. So we wanted the pilgrims to be the bridge into the world for the viewer), then a year shooting, and then a year making it for television. TIM: Is there something interesting or unique that you’ve identified in American culture or from the American perspective on religion or faith that influenced or guided how these journeys proceeded? Is there a common thread that is uniquely American in this narrative? BF: There is a large trend in religion around the world right now and America is an early adopter of this trend. I would characterize this trend as do-it-yourself (DIY) faith, sort of make your own faith and decide for yourself what you believe. For most of history, religion came from our families, our community, our state or nation. We received these building blocks of identity. For a variety of reasons, that is breaking down now. What I think is going on with religion today is that organized religion is more threatened than ever and by every metric: attendance, membership and traditional beliefs are dropping, and yet pilgrimage is surging. Why is that? Pilgrimage is an expression of: “I’m going to go on a journey. I’m going to decide for myself what I believe. I’m going to see these places for myself“ and I think Americans are early adopters of this mindset; it’s particular to the American lifestyle. Take the Hajj for example. Obviously it’s a pillar of Islam that “able bodied people are to make the journey.” Well, in 1920, 50,000 people made the Hajj. Last year, it was over 2 million. So this is something that is gaining in popularity. Part of it is discount airfare and it’s easier to make this journey and the infrastructure in Saudi Arabia has gotten to be more sophisticated, but at the same time people are craving this hands-on experience. TIM: As a follow up you say people are looking for their own faith, yet a lot of the ritual elements of these journeys are extremely rigorous. The Hajj, for example, is extremely regimented in how it is performed and I’m not sure if this is the same case for other pilgrimages. How does this fit with the larger DIY narrative? BF: These are traditional activities done in a very contemporary way. 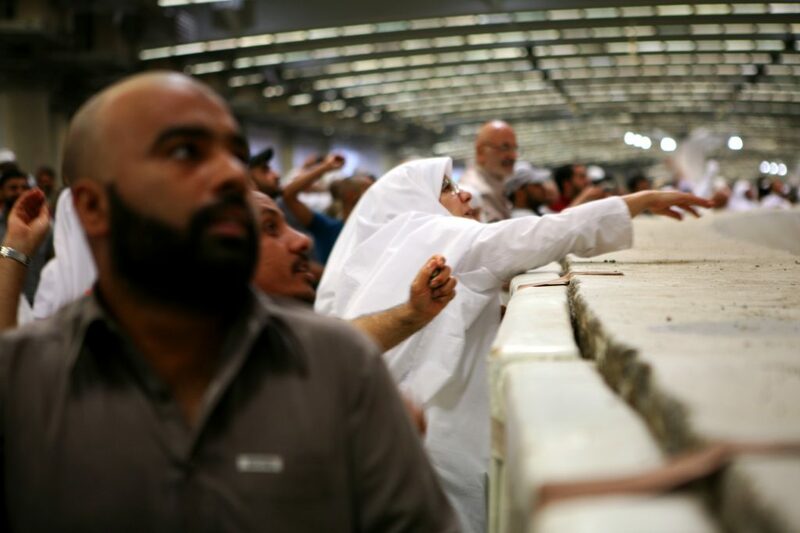 For example, you know that moment where you throw the stones at the pillar during the Hajj? Well, that pillar used to be a pillar that was very low, then it became an obelisk, now it is this large curving wall around which they have constructed a multistory parking lot. [In order to throw the stones as part of the ritual] you get a slot: you go at 2 am, drive up the 4th floor, you get off your coach you throw the stones you collected the night before, you go back on your coach and you go away. So these are traditional things that have been reinterpreted. The Hajj, like every other pilgrimage, is evolving. It is about the conversation and the tension between the ancient ritual and modern life. One of the reasons the Hajj is so regimented is it takes place over a very short window of time. 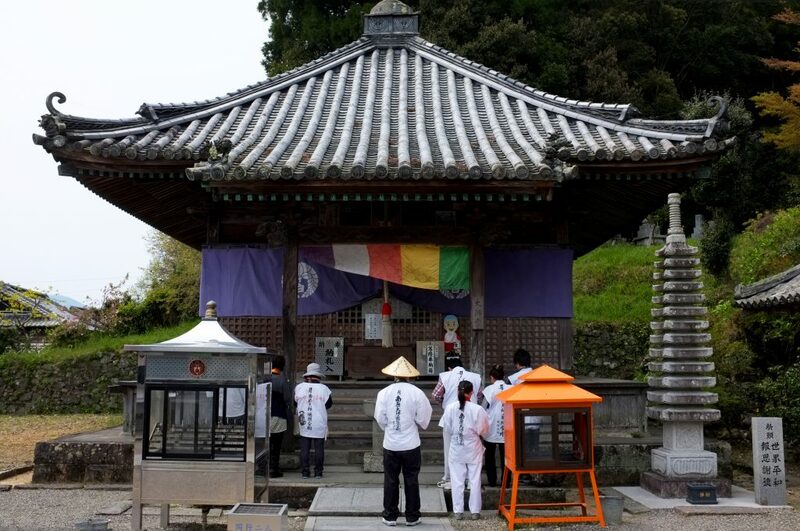 The Shikoku pilgrimage takes 45 days. The Lourdes is open every day. 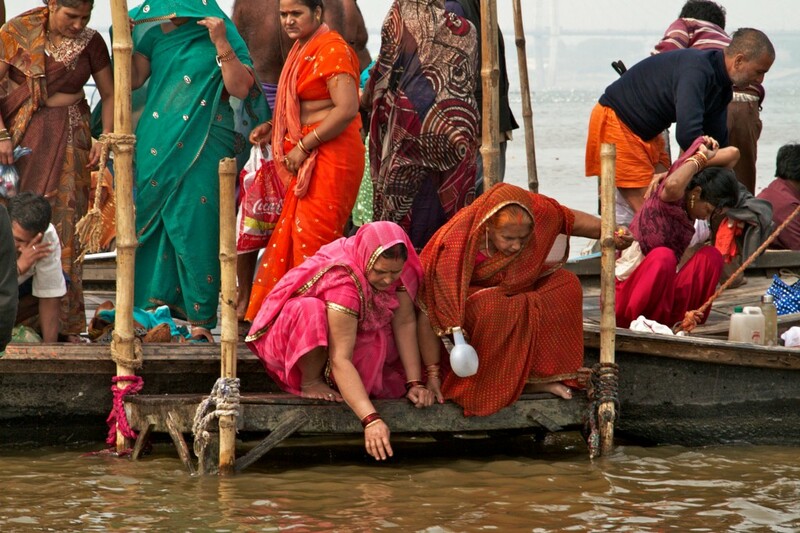 The Kumbh Mela bathing ritual takes over 50 days. So here [at the Hajj] you have a lot of intensity over a short period of time. To the heart of your question I will say that suffering is definitely a part of the pilgrim. The scriptural narratives of the monotheistic religions and Buddhism and Hinduism are built on this idea of dislocation. In the original stories people leave the civilized world, [certain individuals from history] go off into the wilderness, they have an encounter with the divine, and then come back and share what they learned. It is all there – this core narrative. What the scripture tells us in these moments of dislocation is when you are most open to these outside influences. When you are comfortable, you may want it but you don’t seek it. But when you are uncomfortable or experiencing the suffering of a pilgrim, this recreates the dea of dislocation, which allows you to be open to new ideas. TIM: Building off of that idea of suffering did you find with the pilgrims you followed this idea of their experiencing a transformative journey and a sense of renewed identity of who they are, as hyphenated individuals, the American-Hindu, American-Jew, American-Muslim, etc. Did you see that process in the journeys that you witnessed? BF: Most of the people [we filmed] are in moments of transition in their lives, so they are young people who just graduated from college, people who just married, people who just lost a parent, people who just retired and now have to reimagine the last act of their life. As I said earlier, in these moments of transition you are open to insight, emotion, change and transformation. Having said that, a lot of people get it but not everybody gets it. Sometimes the disappointment is part of the process as well. I travelled 120,000 miles for this project, I made six hours of television. It’s hard to make television on this topic in the U.S. right now, so even my experience is a reflection of the struggle. I found that the single most emotional moment in the Hajj episode belonged to Amira, the Muslim chaplain in Wellesley College. She takes the initiative of making this pilgrimage – bringing her husband along who only goes [on the Hajj] for his wife. Because of the regimented nature of the Hajj, they are constantly getting up at odd hours, sleeping two or three hours at a time. They are incredibly dislocated, they’ve lost sleep, they are disoriented, they have all these various rituals from changing their clothes, to the men shaving their heads. And then, they go on one of these trips to visit the tomb of the Prophet Muhammad and when they arrive, there is a men’s line and a women’s line. Here is a woman, Amira, who is a religious leader [in America], she has devoted her life to bridging this gap between traditional Islam and a more westernized Islam where women can have this voice, and she is prevented from visiting the tomb. She is exhausted, she is emotional and she starts to cry on camera and she says “I’m sorry, but I was upset by this and I feel farther away from the Prophet.” Later she twists her knee and has to finish the Hajj in a wheelchair. So these journeys can be simultaneously emotional, enlightening and informative, but also frustrating at the same time. TIM: You raise an important point regarding traditional vs. western, as it is often the case that many of these pilgrims are very modern in their lifestyle and reality but are engaging a very traditional process. How did you see this play out? BF: This is the great weakness of the way religious conversation has happened in the world. As someone who has been talking about the Abrahamic faith for more than a decade now and as someone who has been a part of many interfaith dialogues, there is more hostility around reconciling traditional and modern in a religious sense for a whole variety of reasons that we all know. But the problem with these kinds of conversations, especially when they become more politically intense is that there is an assumption that believers and belief are static – they don’t change. We had a conference call before day one of shooting and someone said: “oh right Muslims believe this and Hindus believe that” and I took the phone and I said that if I am going to have anything to do with this series, we are never going to say that Muslims believe this or Hindus believe that. These things are moving all the time. That is what enables them to survive. TIM: How has technology changed the ritual nature of these pilgrimages particularly on the issue of suffering? Do you see the difficulty of these journeys become lessened by technology? BF: The idea of a technology Sabbath is something you hear a lot. Leaving your home, leaving what’s comfortable is like leaving technology behind. I believe technology is neutral and there are both negatives and positives. One positive is that people can experience it up close. I was skyping in the middle of the Hajj to see what everyone was doing. All our pilgrims had cell phones so we could check in with them. One story that captures this was during the episode on Jerusalem. I’m down by the Wailing Wall with our camera and all of these worshippers are holding cellphones in the air. 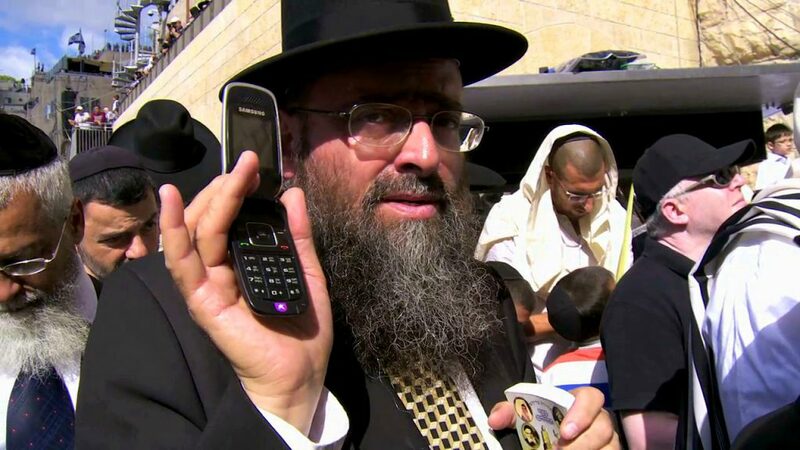 I assume that they are video taping the blessing being recited by the rabbi, but in fact they are broadcasting the message for their relatives all over the world. You can bring people close [with technology]. I don’t know when this language was introduced in the Hajj, that all able bodied people are required to attend the pilgrimage. But now older people, people with disabilities are able to perform the Hajj and be close to the experience more so than even five years ago. Technology at its best is about breaking down barriers. TIM: Bruce, since you were just in Mecca, what are you thoughts on the destruction of holy sites in the Mecca? This is becoming an increasingly contentious issue across the Muslims world, what is your perspective? BF: This is a very political topic, and it gets at the tension in many of these places, which is that on one hand they belong to that place, in this case the country of Saudi Arabia, but they also belong to the world. In this situation the current leadership has decided that its goal is to maximize the number of people who can attend the Hajj. There are trade offs associated with that. The upside is you can get a lot more people into a relatively small space, but the downside is that for some of the people who go it will be startling to see the new mall and air conditioning. It takes them a while to see beyond that to get to the timeless experience they are after. It’s a shock to many people but my experience is that if a person is open for it, usually at some point along the way they are able to see beyond the brass and the glass and the glitter and find the emotional experience they are looking for. TIM: Thank you so much Bruce and congratulations on your series! BF: I have done a few of these interviews and this was so thoughtful and I am really glad we made time for this. You are obviously doing this in a thoughtful way in your publication and I applaud what you are doing.